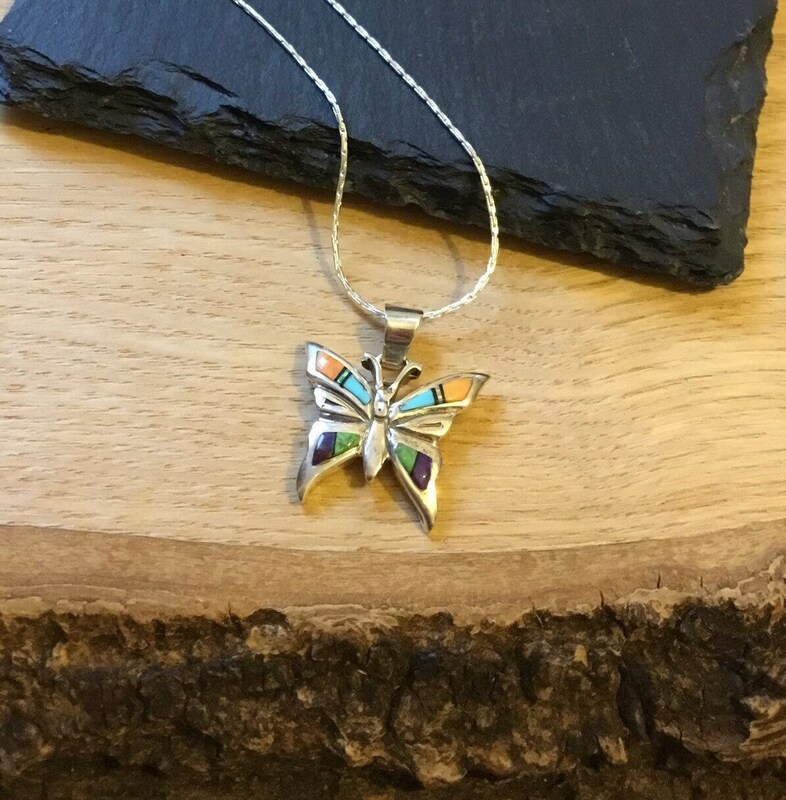 A Fantastic Butterfly Pendant Handmade in Sterling Silver, Inlaid With Vibrant Laboratory Grown Opal, Turquoise, Coral and Agate. 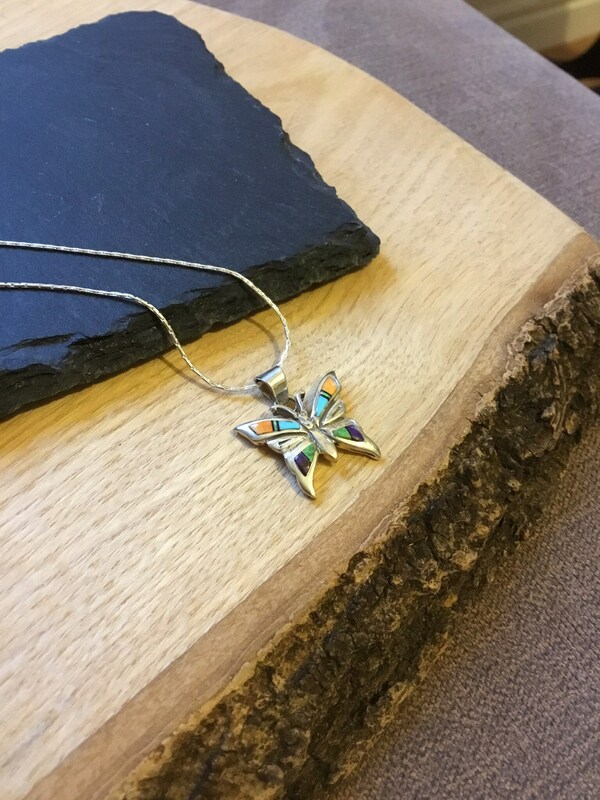 The Silver Setting is Minimalist With a Nice Edge Surrounding and Slight Polished Finish. 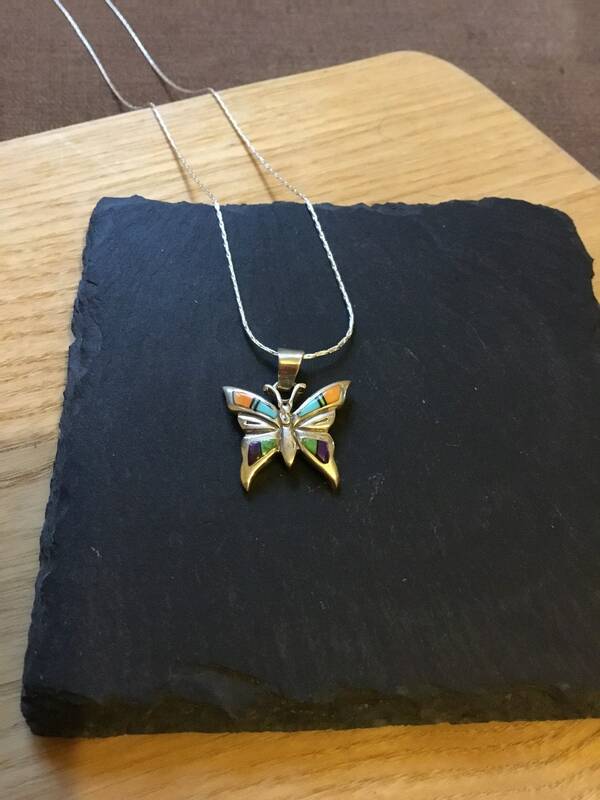 This Beautiful Butterfly Measures 26 mm Long, 22 mm Wide and 4 mm Deep. 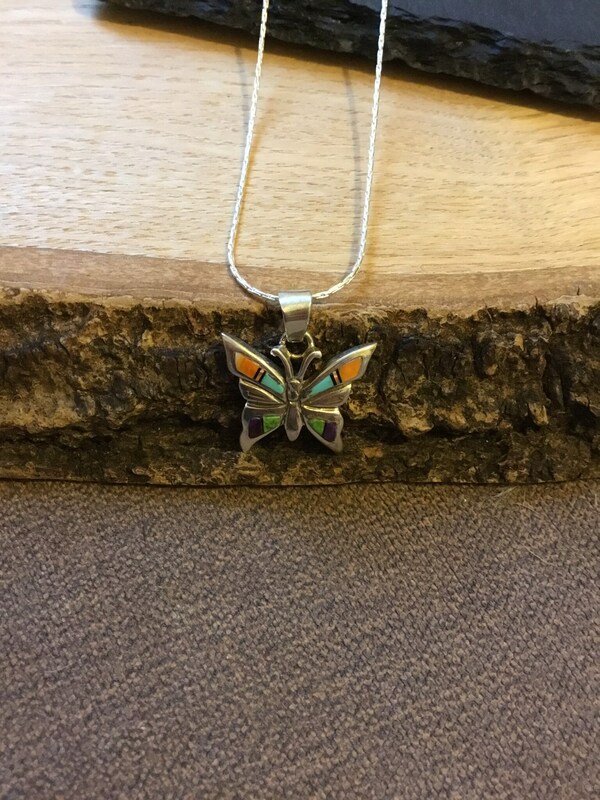 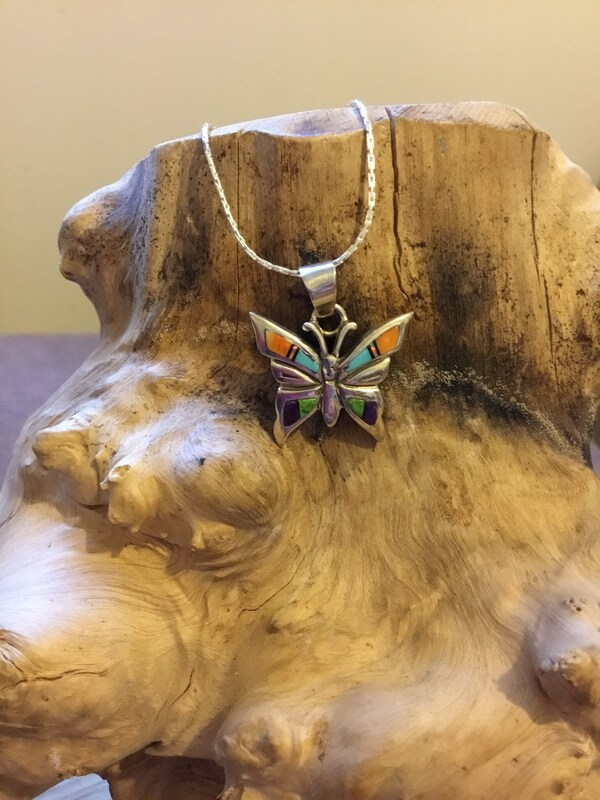 This Lovely Butterfly Is Made Solidly Giving a Nice Weight, With An Abundance of Beautiful Colourful Gemstones and The Reverse Side Of The Pendant is Backed. 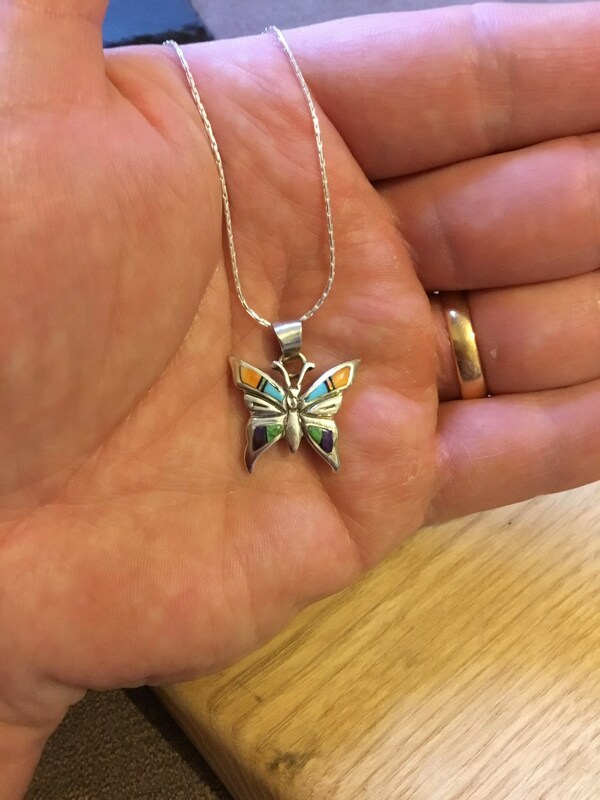 The Sterling Silver Chain Measures 17 3/4Inches In Length - This Can Be Changed Upon Request.